Plot Synopsis: A university is beset by a rash of gruesome murders that resemble old urban legends. When her friend Michelle (NATASHA GREGSON WAGNER) is killed by someone hiding in her car, Natalie (ALICIA WITT) begins to notice the pattern. Her suspicions grow stronger when her own roommate is strangled to death. Soon the quiet college campus is transformed into hunting grounds for a maniac, and Natalie struggles to find the killer and stop the bloodshed before she becomes the next victim. Quick Hit Review: Following the massive success of Scream, a film that grossed $103 million ($206 million adjusted) several films sprouted out including I Know What You Did Last Summer in 1997 and Urban Legend in ’98, neither film were particularly good but both boasted young and hip actors. I never was the biggest fan of Urban Legend mainly because there’s nothing all that memorable with the kills and worse, rarely was anything scary especially when you have to resort to the age-old jump scare (with a music zinger for extra measure). On the plus side, I did really like the cast and god-bless them, they had to utter some really inane dialogue and keep a straight face, no more so than star Alicia Witt who performed adequately as the heroine of the story while a young and on-the-rise, Jared Leto has some okay moments albeit doesn’t get a whole lot to do. Then you have the likes of Tara Reid (American Pie), Michael Rosenbaum (Smallville) and Joshua Jackson (Dawson’s Creek) as the supporting cast who were a lot of fun to watch while Rebecca Gayheart (Scream 2) seemed to have a blast. 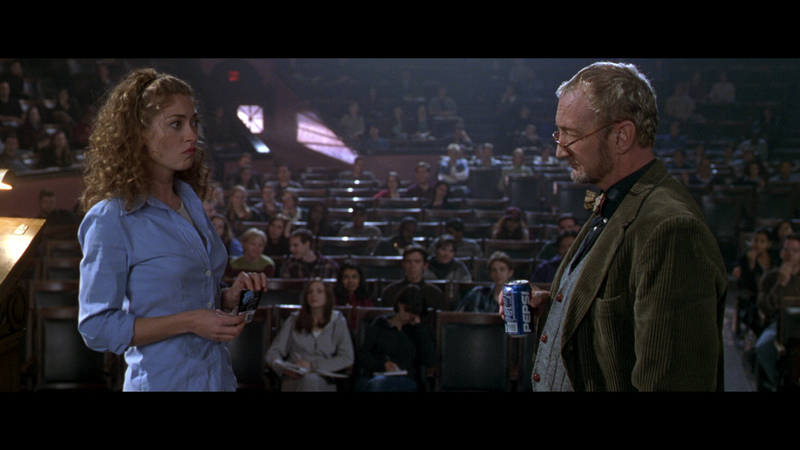 Also appearing there’s an uncredited role for Brad Dourif in the opening and Robert Englund as a creepy college professor, so at least we got to see two horror icons even if they never shared a scene together. The film was scripted by a then young Silvio Horta (who would go on to create the comedy-drama series Ugly Betty) and helmed by Jamie Blanks, director of another slasher, Valentine which, as I recall, wasn’t very good either. Although I was not a fan of Urban Legend as it doesn’t really distinguish itself from the other slasher copycats, plus a parka-wearing killer is hardly frightening, of that era, it’s hard not to respect the cast and crew in a production that wasn’t hindered by the studio. Oh, and it was rated R versus the watered down PG-13 horror that have come up in recent years. This “Collector’s Edition” release comes with a matted slip cover and a reversible interior cover revealing the film’s original poster artwork. The back cover states this includes a “feature length” documentary, entitled “Urban Legacy”, but apparently somewhere in the process they instead split them up into individual featurettes. Totaling it out, it clocks in at 2:27:28. The first track is new to this release, the latter from the original 1999 DVD release and both are well worth listening to each giving different perspectives be it either with the participants or with the 20 years since its release. The Story Behind Urban Legend (9:37) is a new featurette on the origins of the story and feature interviews with author Peter M. Bracke (“Crystal Lake Memories” which itself became a great documentary), producers Neal Moritz and Gina Matthews, writer Silvio Horta, and others in executive positions of the then upstart Phoenix Pictures. Assembling the Team (17:44) looks at putting together the crew for the movie from director Jamie Blanks to the producers, production designer, cinematographer and more. The Cast of Legends (18:46) breaks down the casting process and has interviews with Alicia Witt, Rebecca Gayheart, Michael Rosenbaum, Tara Reid, Robert Englund, Loretta Devine and Danielle Harris. Some of the actors are merely soundbites (Reid, Davis and Harris especially) but still an interesting featurette. There’s Someone in the Back Seat (15:42) – This is a featurette on the opening sequence and has interviews with Natasha Gregson Warner (actress who played Michelle Mancini), Jamie Blanks, and others. Has some behind-the-scenes footage and photos. Stories from the Set (28:39) – The participants featured in the others show up again and talk about their time working on the project, interspersed with archive footage. 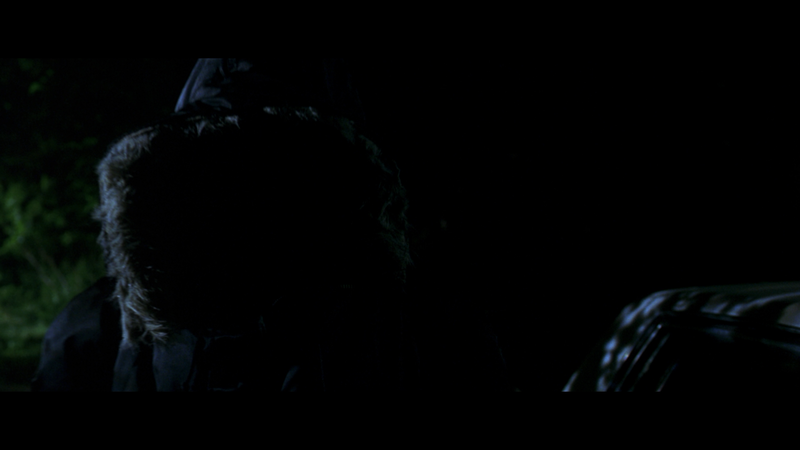 Campus Carnage (23:30) delves into the kill scenes in the movie. A Legendary Composer (16:29) is an interview with Christopher Young and his approach to scoring the picture. A Lasting Legacy (17:01) wraps everything up with its release and how it has held up over the years. One of the fun parts was footage of an early screening. Extended Interviews (39:44) and Extended Interviews – Part 2 (33:46) are some extra interview footage. Rounding things out there is Behind the Scenes Footage (TRT 47:00) split into three parts; Archival Making of (10:09) featurette; a Deleted Scene (2:40), TV Spots (1:36) and a Gag Reel (2:14). 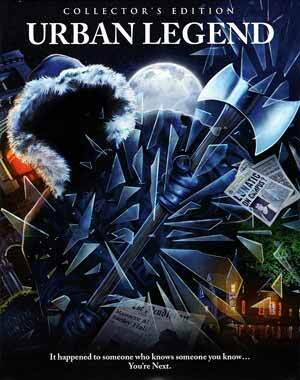 Shout Factory releases Urban Legend onto Blu-ray and since there was no mention on the back cover, I’m thinking this might’ve been the same 1080p transfer from the 2008 Sony Blu-ray release. Even so, it’s not an entirely bad looking movie with good detail especially on close-up objects or persons, and colors are generally appealing. There were no noticeable or obvious signs of artifacting and aliasing and the transfer appears to be relatively clean. The included DTS-HD Master Audio 5.1 track is solid enough that is pretty robust during the kill scenes and also has clear dialogue levels coming through the center speaker where most of the central action is relegated to while the fronts and rear channels are utilized for Christopher Young’s score and any ambient noises which there are a few with the blood-curdling screams. 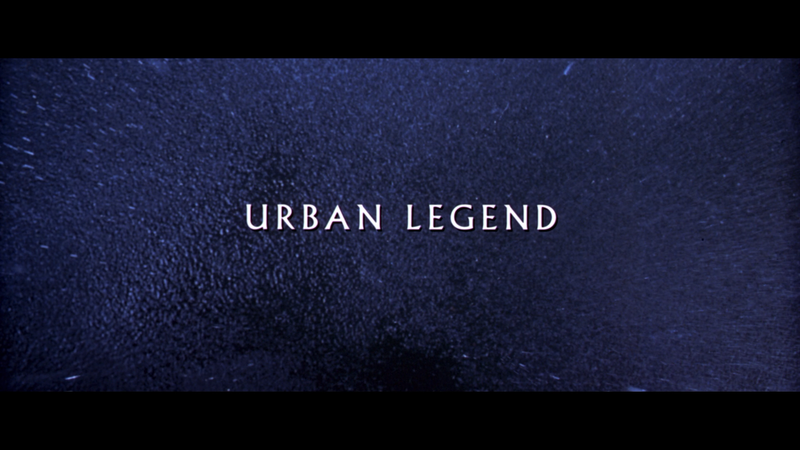 Overall, Urban Legend is one of many slasher movies to come out of the late 1990s/early 2000s thanks to the massive success of Scream. I never was a big fan of the movie mainly because I never found it all that scary and it did employ the lame jump scares along with a score zinger for weak effect.